We protect individuals, families, and businesses who face common legal challenges. Contact us today for a free case review. Many people in Utah are referred to our firm for divorce and related legal matters. Other lawyers refer their clients to us because of our reputation as an aggressive and able Utah Divorce Attorney. While some states are becoming more and more relaxed on marijuana charges, Utah seems to be holding strong even going in the opposite direction. Whatever the case may be, a Utah Criminal Defense Attorney in our office can help. Whether you have been injured in a car accident in Utah, been the victim of a misdiagnosis or medical operation gone bad, or been attacked by a dog, a Salt Lake City Utah personal injury attorney at Salcido Law Firm is ready to fight for you to make sure you receive all of the compensation to which you are entitled to make you whole once again. Many people at one time in their lives find themselves so financially in the red, the only way to pull themselves out andstart fresh is to file for bankruptcy in Utah. As entrepreneurs, we enjoy helping small businesses succeed. From drafting a company’s initial formation documents such as articles of incorporation, by laws, operating agreements, to more complex business matters, we can help ensure your business operates as smooth as possible. A Utah Business Attorney at our office can help. We protect individuals, families, and businesses who face common legal challenges in such areas as accidents and injuries, DUI and criminal defense, divorce and family law, bankruptcy, and more. We offer free consultations, call us today and get protected. Call a Utah Criminal Defense Attorney at our office today at (801) 413-1753 or toll free at (888) 337-3235.When making that call you can rest assured you will actually get to speak with an attorney not a paralegal or other staff member. Are you needing to contact a Utah Criminal Defense Attorney or searching for information on Divorce in Utah? 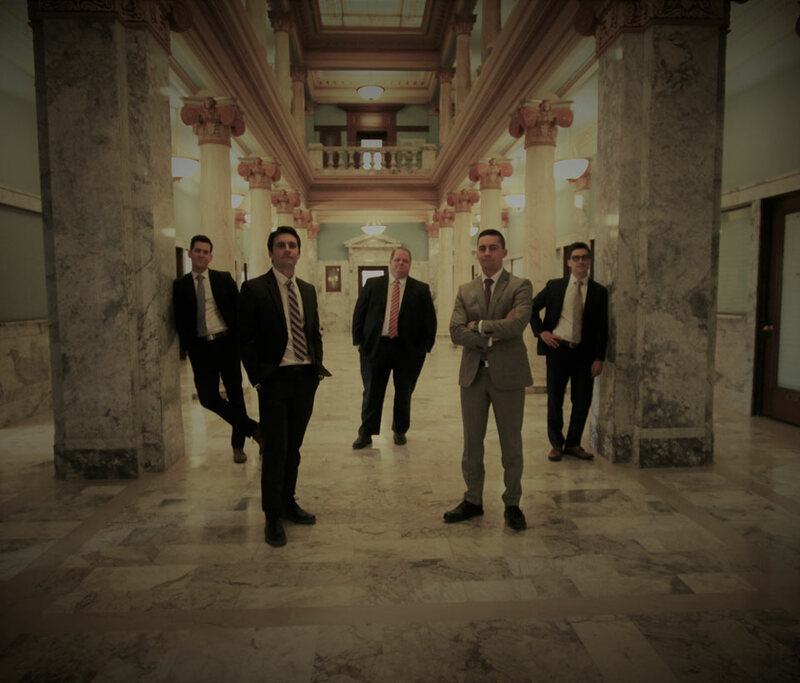 You came to the right spot, because from Ogden and Salt Lake City, to Provo and St. George, our experienced team is ready and willing to tackle the most complex Criminal Defense and Family Law matters. We understand seeking legal representation can be daunting which is why we offer free consultations and really take the time in each case to understand our client’s particular goals and needs. So whether you need a good Utah Criminal Defense Attorney for marijuana possession or domestic violence charges; or need to file for divorce in Utah, or fight for custody, we can help. While no attorney can guarantee a certain outcome, we will provide you with a legal opinion on what you can expect based on your particular circumstances. We provide our clients with a secure log in to our firm’s case management system so our clients always know exactly what is happening on their case and have access to documents coming to or going from our office. Client satisfaction is our goal in every matter so give us a call and see what we can do for you today. At Salcido Law Firm you can retain a Salt Lake City DUI Attorney who aggressively defend your rights when racing a DUI in Utah. A Utah Criminal Defense Attorney at out office can usually tell you right over the phone what we think about your case. After you hires us for a DUI, we look at all the possible defenses that might apply to your case including the field sobriety tests, blood alcohol content, and other factors. We understand just how stressful a criminal charge such as a drunk driving citation can be hanging over your head. We also understand that good people sometimes make mistakes. Whatever your charge or particular situation, we are interesting in helping. A Utah Criminal Defense Attorney in our office will defend you through a difficult courts process and at the driver license hearing. While some states are becoming more and more relaxed on marijuana charges, Utah seems to be holding strong even going in the opposite direction. A marijuana charge in Utah, much like a DUI, can result in the suspension of your license for a period of time. Even if you were not driving, your license can be suspended for smoking weed, it sounds crazy but it is true. Many people just passing through the state are cited for possession and paraphernalia charges after an often overzealous officer decided to search their vehicle following a minor traffic stop. Some people are charged with a DUI Metabolite or drug related impaired driving offences merely because they admitted to smoking pot on the day they are pulled over. Whatever the case may be, a Utah Criminal Defense Attorney in our office can help. A top rated Utah Divorce Attorney at Salcido Law Firm will protect your interests in a difficult divorce, including your parent time and custody rights with your children. Our team of Custody Attorneys in Utah provide dedicated representation in matters such as uncontested or contested divorce, child custody disputes, alimony, prenuptial agreements, and more. Rest assured that you will not be taken advantage of or bullied by the other side when we take on your case handling your Divorce in Utah. You may be incredibly worried about your current domestic legal situation. You may need a custody evaluation, or perhaps need help in defending against a protective order or stalking injunction. We are up to the task, no matter how complex or difficult your situation may look. For more information on Utah Divorce Laws, call us today. It is not uncommon for some individuals to find themselves facing a domestic violence charge, a protective order, and a divorce all at the same time. Perhaps you were involved in argument with your spouse and he or she called the police and things spiraled out of control from there. You were charged with assault or domestic violence in the presence of a child. Your soon to be ex filed for a protective order and then later files for a divorce in Utah. Salcido Law Firm has dealt with issues just like this numerous times and understands the best possible way to represent a person on each side of the equation. If you were served with a protective order, you need to be aware of the potential consequences such an action brings. A protective order can result in the loss of certain state licenses, gun owning privileges, and may carry negative employment repercussions as more and more employers are checking backgrounds for these types of issues. A person served with an ex parte protective order needs to understand what the terms of the documents mean and should consult immediately with a Salt Lake City Divorce Attorney. Violating a protective order can result in criminal charge so be careful to strictly adhere to the terms of the orders. Read what our clients say about us.. I am so grateful that I went to Salcido Law Firm for my divorce. I was concerned about all the paper work and being overwhelmed with decisions and all the complicated stuff. I was so surprised when I got the forms to fill out. They were so easy to fill out!!! They also covered every single one of my concerns. They explained everything so there was no questions. I felt very confident with them representing me. They were very professional and proactive. Thank you SLF I would highly recommend you to anyone. We contacted Salcido law firm in the middle of an on going case; we were concerned our previous attorney was not taking a confident stance against the defense. After meeting with the Salcidos we transferred our case to their hands. We were impressed at the amount of preparation they did for our case (understanding where we were and where we wanted to be); we won. For the unfortunate who need an attorney, fortunately there’s a good one hanging around :). LOVE LOVE LOVE! These guys have been the BEST guys to have on my side. I really felt at ease at court with Jerry by side. They always responded quickly. I had complete confidence in Chris and Jerry since the first consultation and really couldn’t be more pleased with the outcome I got. I also never felt like they were in it “for the money” which takes the stress of such an expense off my chest. I hope I never need a lawyer again, but if I do, they have a customer for life. I would like to express my gratitude to Jerry at Salcido Law Firm for helping me out with my criminal case. He was very professional and informative. I never had to worry about all the “IF” questions going through my mind they were all taken care of. I will always go back to Salcido Law Firm for everything they make you feel like family. You won’t be disappointed with this law firm. I highly recommend!! Thank you so much for all you’ve done for me I can’t even begin to let you know what it meant to me. We are available to answer your questions 24/7. Call a Utah Criminal Defense Attorney at our office today at (801) 413-1753 or toll free at (888) 337-3235.When making that call you can rest assured you will actually get to speak with an attorney not a paralegal or other staff member. Follow this link to get information on the Utah Courts. Get the expert legal advice you need and a strategy to push forward in confidence. 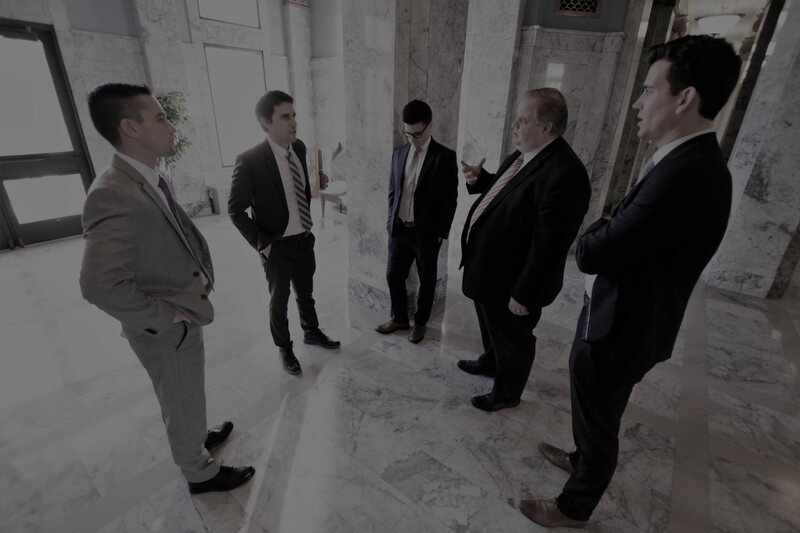 From Salt Lake County, Weber County, and Summit County, to Utah County, Sevier County, Iron County, and Washington County, our attorneys work to develop a lasting professional relationship with each of our clients so they will look to us first for any of their needs in the future. Indeed, the majority of our clients are referred to our offices by individuals who have seen our success first hand. Our past clients know that our team can help them through a variety of legal issues from catastrophic injury or wrongful death, to a marijuana charge, or protective order. Read moreHow Does the Spousal Privilege Apply in a Utah Domestic Violence Case? Read moreHow does Utah’s Divorce Statistics Compare to the Rest of the Country? Read moreWhat is the White Collar Crime Offender Registry in Utah? What is the Proper Venue for a Utah Criminal Case? Read moreWhat is the Proper Venue for a Utah Criminal Case? Does Checking Identification During a Traffic Stop Illegally Prolong the Stop? Read moreDoes Checking Identification During a Traffic Stop Illegally Prolong the Stop?